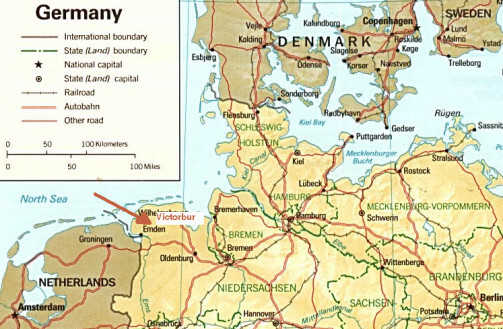 The clinic of Dr. Kessler is located in 26624 Victorbur between the northern German cities Aurich and Emden in Northern Germany. Most of our overseas patients fly either into Amsterdam/Netherlands or Bremen/Germany. Our own shuttle service will pick you up at the airport. The driver will wait for you at the arrival hall indicating your name . He will bring you to your hotel in Aurich/Germany. We usually will make reservations for you. Next morning , after you had breakfast, at 7.10 a.m. another cab will pick you up at the lounge and drive you to the clinic. The drive will take about 10 minutes.